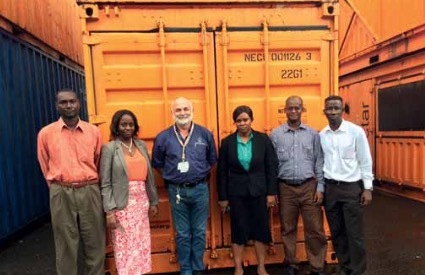 Nectar Group has announced that it has signed a ten year agreement with the government of Sierra Leone to manage and run the bulk terminal located at Queen Elizabeth II Quay, Freetown. The terminal, which will be known as Nectar Sierra Leone Bulk Terminal (NSBT), is part of a number of new and exciting development projects on which the company has been working and which are now progressing. Nectar will be investing significantly in the terminal at Freetown over the coming years to upgrade and improve the facilities for discharging bulk cargoes including new equipment, improved security and a comprehensive terminal management system which will all contribute towards enhancing the existing terminal in West Africa's largest natural deep water harbour. New handling equipment for the terminal which has been ordered from TEREX (UK), as well as a complete terminal management system from DBIS (also from the UK), will be delivered in the last quarter of 2015. Nectar Group has a long history of working in Sierra Leone and this latest development cements the Group’s long-term commitment to the country. NSBT is an exciting addition to the group’s activities which will provide employment for 60 new personnel once fully operational. Headquartered in the UK, Nectar Group now handles over 7 million tonnes of dry bulk products per annum. The Group has a history of providing cost-effective, innovative cargo handling solutions around the globe.